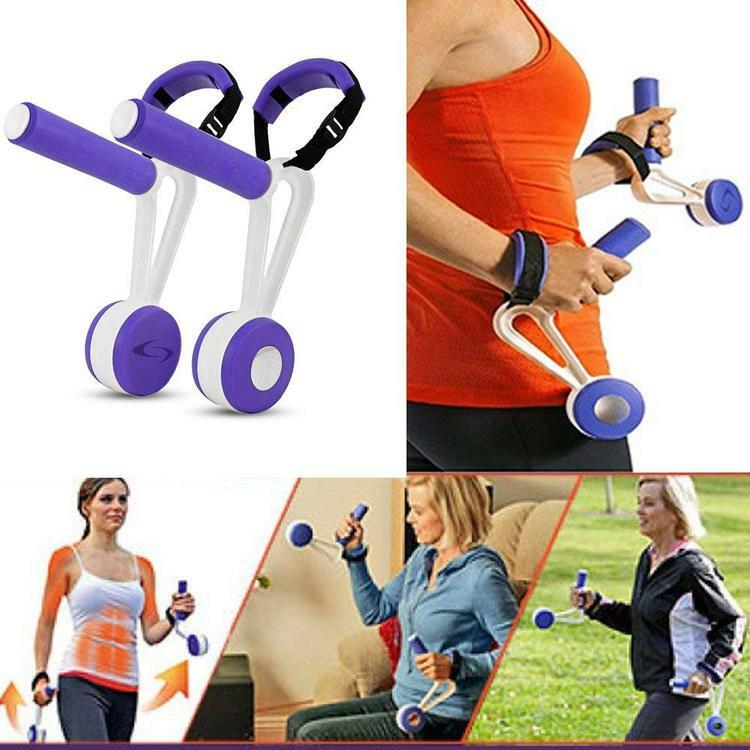 Supercharge your walk with these Unisex Swing Weights Walking Weights featuring comfort grip 3-pound weights with balanced, swinging weights to intensify arm swing and target your upper body for high impact results. Cushioned wrist straps allow for relaxed grip and pauses during use. Weights are perfectly angled to enhance natural arm motion. Add them to your exercise routine and swing into shape! Comes packaged in an individual box. Box measures approximately 12.375" x 2.5" x 8.75"